I have been talking for some time of a new feature I would like to have at From Pemberley to Milton, and today I’m finally launching it! It’s called Readers Reviews and its purpose is to give my readers a more active part in my blog by sharing their reviews with everyone else. Many of my readers are great reviewers but for numerous reasons they don’t have a blog or a particular place to share their reviews with everyone, so why not given them voice to express their thoughts on JAFF books right here at From Pemberley to Milton? I hope you enjoy her post and her review of The Bridget Jones Diary and The Edge of Reason. The adaptation of the third volume, Mad About the Boy is also coming shortly to the theatres, so you might take this inducement to re-watch the films with our beloved Colin Firth! I’m a 26 years old Portuguese girl, with a passion for books, sports and life in general. I have a terrible temper, but I always have a smile on my face. My favourite authors include Portuguese José Saramago, Colombian Gabriel García Márquez, Japanese Haruki Murakami, J.K. Rowling and, most recently, the Swiss author Joël Dicker completely stole my heart. I usually say I don’t have a favourite genre; I enjoy reading good books, with characters that make me fall in love with them and their lives. This passion for literature has made me start my own blog about two years ago. Unfortunately most of you won’t be able to look it up because it’s written in Portuguese, but meeting Rita has made me consider also keeping a blog in English to reach a wider public. First of all I have to tell you how I met Rita. She’s my Team Leader and, as you can imagine, being an intern in a new company is quite scary and I was a bit afraid of the welcome I’d get. I was particularly worried about my direct bosses as in my old job some distance was always kept between ‘the bosses’ and the workers. I was really surprised how nice everyone was, and Rita made me feel very welcome. 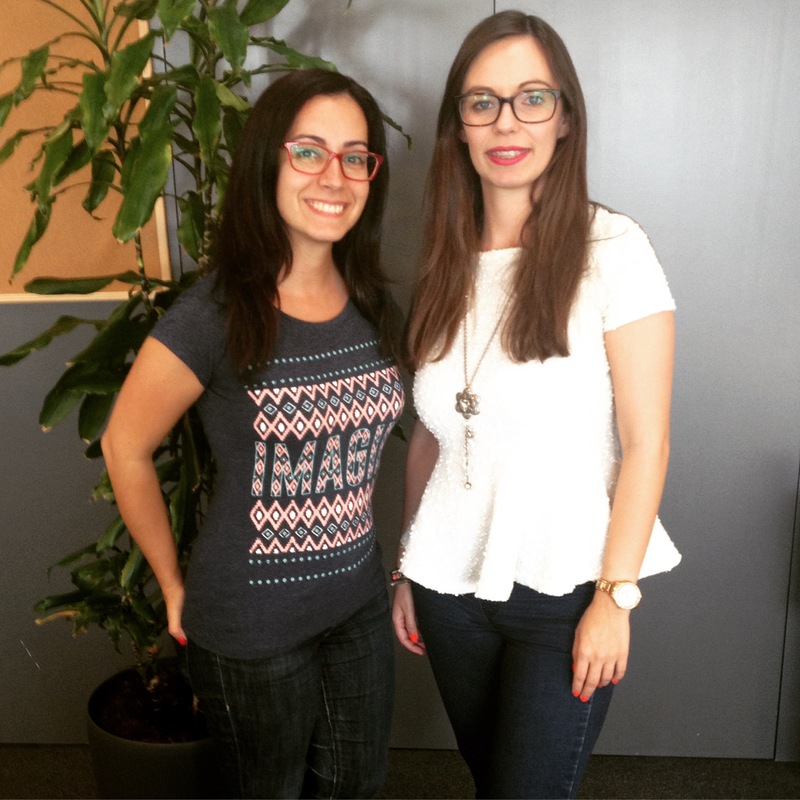 During my first week we took some coffee breaks together and, as we both talk a lot, we quickly found out we had a lot in common and discovered we shared a common passion – books and blogging about books. She told me all about her blog and this genre I had never heard of – Jane Austen Fan Fiction, or as I’ve learned, JAFF. I am a Jane Austen fan (who doesn’t love Mr. Darcy?) and I know there are a lot of fan fictions in the internet about everything, but it was a surprise to find out there were even publishers dedicated only to this literary genre. And this brings us to why Rita asked me to do a guest post in her blog. She saw me reading Bridget Jones and was really surprised, so surprised it was even a little scary, and she said ‘We need to talk’. Turns out Bridget Jones is considered JAFF and she thought it would be interesting to have a review on her blog about a JAFF book from a person who (thought wrongly) had never read any JAFF. I have to apologize in advance since the review will be about the two books as I’ve read them as one, so I’m not entirely capable of distinguish between them. We all know Bridget Jones, everyone has seen the film, and if they haven’t they have heard of it at least. The most well-known singleton on the planet. Just to give you some insight, Bridget is a chubby Londoner, journalist, with a slight drinking problem who smokes way too much. Her love life is a mess, sometimes non-existing, but we get to know her two romantic lovers – her boss Daniel Clever and a lawyer, Mark Darcy. And now I can see you all leaning in towards your screen because finally you see some JAFF here. So Mark Darcy is clearly our beloved Mr. Darcy (but I only made the connection after talking with Rita), a nice British gentleman, with high moral standards and what is considered by all our mothers (and Bridget’s) as a proper husband. However, just as Elizabeth duels on the goodness of Mr. Darcy so does Bridget with Mark. I don’t know if you’re aware of it, but in the film adaptation Colin Firth also plays Mark Darcy. How lovely is this? Bridget Jones: You know in the BBC Pride and Prejudice? Colin Firth: I do know, yes. BJ: When you had to dive into the lake? BJ: When they had to do another take, did you have to take the wet shirt off and then put a dry one on? CF: Yes, I, I probably did have to, yes. BJ (Breathing heavily): How many takes diving into the lake did you have to do? And then it goes on and on, and at some point Colin Firth is already losing his mind because she’s only interested in talking about Mr. Darcy, and he wants to be asked about the new film, and she insists again ‘How many times altogether exactly did you have to take it off and put it on again?’ and I could tell you more, but you’ll find it funnier if you read the all thing! As a JAFF novel this really takes some things out of Pride and Prejudice, not straight away, but if you’re familiar with the book you can spot the character traits from Mr. Darcy on Mark and some similarities with the love story shared by Darcy and Elizabeth. To finish this, and to give you a non-JAFF fan opinion, I find these books very good and entertaining. Of course, they are not Russian classics or Victorian relics, with deep and profound analysis of society and the human nature, but they really give you an insight on a singletons life. 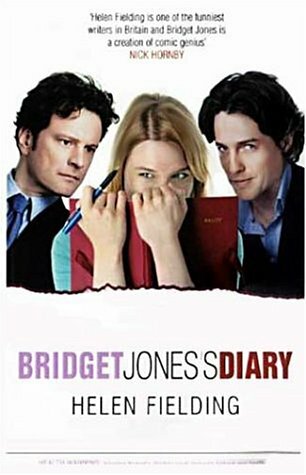 For me, as a recent singleton, I found Bridget Jones both funny and enlightening, with a lot of what the hell situations that you can totally relate to, and some others that you wish you’ll never have to face. Overall it’s a light story to read with an open mind and an open heart. And, like Bridget, you might just fall in love before you know it! What about Flávia’s review? Quite diferente from my own and I absolutly loved that! She has an interactive way of expressing her opinion and is very funny, so I would recommend to those of you who speak Portuguese to check her blog Reading in Style. For the readers who do not speak Portuguese, I think we need to do something about Flávia! Bridget Jones Diary cannot be the only JAFF book on her list! We’ll have to get her to read something else! What would you suggest to her? Rita,it was such a pleasure to read your friend’s review of these books. Isbtbit great that both of ye work together and share a live of books and blogging. Flavia-in no particular order,these are three books that I read,loved dearly and highly recommend!!! -The Best Part of Love by Alex 9903. A wonderful heartbreaking story that had me totally enthralled! You must register on AHA to read it but it’s well worth it! The Unthinkable Triangle by Joana Starnes. Another fantastic read,that you can guess by the name,involves three of our beloved characters in a tug-of love situation. Fab!! A Spirited Courtship,Haunting Mr Darcy by KaraLyne Mackrory. The minute I started reading this book I knew it would be amazing. I was simply swept away from first page to last. If /when you read any or all of these books,I hope you’ll love them as dearly as I do. Enjoy!! I always love meeting people who love to read, so I was very happy to discover Flavia always carries a book with her. Thank you Mary, I’m glad you enjoyed my review 😀 The one about Mr. Darcy sounds very exciting, but with so many great suggestions by you all I can’t decide which one to pick first! But I’ll definitely enjoy any of them. You are both so lucky to find a fellow book lover who happens to be an Austen lover at work. 🙂 I am still looking for a Real Life Austen and JAFF book lover near by. Enjoyed Meeting, Flavia! Love your new Reader Reviews idea, Rita! It was delightful to meet you Flavia. Thank you for the review of ‘Bridget Jones’ Diary’. I have seen both movies and looking forward to the third. The books are usually better than the movies as they provide more detail. I think I will have to read the books now! Yes, Colin Firt…sigh. Thank you Rita for introducing Flavia to us! I loved this post! It’s always great to meet another Austen fan! I’ll have to read Undercover! I’ve heard so many good things about it! You’re very welcome! Also, Undeceived by Karen Cox and A Matter of Chance by L.L. Diamond. The Elizabeth Papers keep appearing on the recommendations, it might be my first choice, thank you! Thank you Flavia for accepting to be my first guest 😉 it started out as a coincidence with me discovering you were accidentally reading JAFF, but it turned out to be a collaboration that made me really happy!! We hope to hear about your thoughts on The Elizabeth Papers soon 🙂 In the meantime enjoy your holidays! Flavia should consider writing in English. I like her style.